There's probably never been a better time to buy a new running watch. 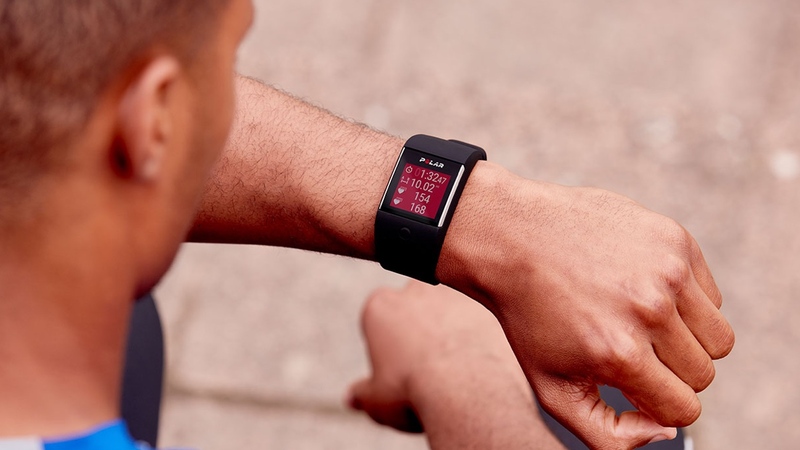 In the past five years we've seen huge improvements in run-tracking tech with Garmin, Polar and Suunto all smashing out personal bests, while relative newcomers such as New Balance, Apple and TomTom are fast on their heels, ensuring the pace of innovation is relentless. But we don't think we've seen the ultimate track star... yet. So in no particular order, here's the features that should be inside the perfect running watch. Have we missed something off the list? Let us know in the comments below. Longer battery life is something we want from all of our tech and running watches are no exception. Apple gave a strong nod to this for the launch of the Apple Watch Series 2, crunching the finishing times from a number of major marathons to conclude that the average marathon finish time is around 5.5 hours. They then made a watch with a battery to handle that and a bit more. But running is changing and an increasing number of ultra running crazies (me included) want to run further than the 26.2. These runners need something that'll go much, much longer. We understand the current limitations on battery technology and, a bit like the cure for baldness, whoever comes up with the solution is going to be very rich. But in the meantime, perhaps there's a third way. What about an external booster that clips into the strap? Just like you can swap out your GoPro battery, or you can extend your phone's life with a e credit-card battery pack, why shouldn't you be able to reload your running watch? But how much juice do we need? The 100-mile ultra has become a popular distance, you can even earn a special belt buckle for conquering it in under 24 hours, so that feels like a reasonable target to aim at. If you're unhinged enough to attempt a 48-hour pain fest like the Ultra Trail du Mont Blanc you'll just have to buy two watches and swap them half way. It's a proven scientific fact that a human being's true genius only really shows when their foot strike rate reaches 165 or more (probably). It's at least true that some of our best ideas are conceived on runs, when amazing epiphanies reveal exactly what you need to do about THAT thing you've been wrestling with. But then you make the mistake of thinking your solution/idea is such genius that's there's no way you'll forget it. Suddenly it's 20 minutes after your run and you can't recall a damn thing. What we need is a way to log those Eureka moments, Alan Partridge style, so we never lose another crazy brilliant idea. "Hey Eureka, take a note: idea for a TV show… "
Hydration monitoring wearables are going to be a big deal. Runners already know why. It's drilled into us incessantly to drink, drink, drink when we're running, which is why you see people laden with bottles for their 5km Parkrun. It's for a fairly good reason too, hydration is one of the biggest inhibitors of performance. But do we really need to be guzzling constantly? Before a race it's easy enough to look at the colour of your pee to see what state you're in (clear = good, dark = not so good, red = have you been eating beetroot?) but during a run it's more hit and miss. Wearables such as the BSX Athletics LVL aim to end this guesswork. Using optical sensor technology, the LVL already claims to monitor your hydration levels. It's only a matter of time before this ends up in your running watch. Most runners are guilty of being a little too obsessed with checking the stats. From time to time, it's good to run free without being a slave to heart rate or real-time pace. But you still want to see how you performed afterwards and the have the miles logged in your training stats, right? Of course, you could just not look at your watch, but we know that temptation is too strong and we are weak. If you wear your watch, you're going to look at it, simple as that. To solve this problem we'd love an option that blanks the performance stats from the screen, while your watch keeps tracking in the background and other features still work. Two things that are essential for running – other than short shorts and Vaseline – are fuel and water. Organised races, with their carefully placed water stations, are great at helping us remember to top up, but when you're out doing 18 miles on a Sunday on your own, or you're 56.5 miles into an ultra, it's all too easy to forget. If you're following a careful fuelling plan that involves eating specific foods and drinks at different times, remembering which to eat when can also be tricky. This is where customisable mid-run alerts like "Mmm, gel time again", "Sip your water" or "Reapply petroleum jelly", would be helpful. Imagine knowing exactly when you need to refuel during a marathon or an ultra. Blood glucose monitoring is a rapidly developing field and there are already wireless implant sensors available, but new companies like Gluco-Wise and InfraV are working on devices that offer non-invasive tracking. The primary aim is to help people manage diabetes but the applications for endurance sport are obvious. Taking the guesswork out of when and how much energy you need would be a huge benefit. No more unnecessary gels, no more upset stomachs from loading in too many gloopy sugars but above all, no more hitting the wall because you failed to top up your energy tank. Versions of live tracking already exist but in most cases, such as Garmin Live Tracking, you still need to carry your phone. This updated feature would allow friends and family to track your location and see for themselves how late you're going to be for Sunday lunch, even though you said you'd only be out 45 minutes. It also means that on race day, they know how you're getting on and can see when you're approaching, so they can get ready to cheer and wave that Run [insert name] run! sign. We want this on all our watches. Smart runners always carry a 'just-in-case' fiver because you never know when you might need an emergency bottle of water, clean pair of pants or some wet wipes. Apple and Android Pay-toting smartwatches already let us go cashless for a whole range of supplies but until it's all pervasive in smaller shops and cafes, and built into a wider range of running wearables, we're not quite ready to leave the house without cold, hard cash. Gloves, tiny buttons and touchscreens don't work together. Nor do human hands and winter. So for those times when we're gloved up and still want to know if we're on pace for a half marathon PB, we'd like voice controls so we don't have to remove our fingers from their toasty home. While Alexa and Siri have ushered in huge improvements in voice control, it's surprisingly missing from most smartwatch running apps for Apple and Android. Sadly, the running watch makers such as Garmin and Polar haven't even made it off the couch on this one yet. In fact we may see this capability appear in a different form factor first. One such product is the LifeBEAM Vi, new intelligent run-coaching headphones that promise not just voice control, but a fully fledged AI coaching persona that you can interact with mid-run to make sure you're training smart every session. The list of what runners need to carry with them on each run, otherwise known as the Every Run Carry is usually something like this: house keys, cash, a travel card, a phone, water and fuel. But we're closing in on the time when one watch can do all of this. Plenty of apps and watches offer interval tracking but they tend to be very basic. You can usually create your own sessions, running a set distance fast followed by set distance rest; or a set duration fast followed by a set duration rest. But that doesn't quite cut it if you need to do eight sets of 400m in 83 seconds, each followed by a two minute rest. If you use the distance intervals, the effort segments are only triggered when you hit the rest distance rather than the time. If you use the time intervals and you run a second too slow, you're dropped straight into your rest period. Then there's the way splits are presented. In many cases, once you cross the line on your 400m effort the clock just keeps rolling up so you're never entirely sure if you hit your last 400m in the target time. Worse still, the time doesn't reset to zero for each 400m effort so you find yourself attempting tricky maths to work out how long you've got left to meet your interval time. Okay, so you'll need to install a smart lock first but then if you own an Android Wear or Apple Watch you'll be able to leave your keys at home when you run and use your wrist to unlock the house. We'd love to see this kind of support from Polar, Garmin, Suunto and the rest. Apple and Android have solved this one as well, letting you tap and ride on trains and buses in major urban centres. But for those times when you're too far off the grid, too injured or just too beaten up, even for public transport, what we'd really like is a one-touch taxi hailing button you can use without needing your phone. The equivalent of putting up an emergency flare with one touch of your wrist.